Florianópolis is Santa Catarina’s state capital and is one of the most popular tourist destinations in the south of Brazil. Located on an island, this magnificent city boasts no less than 42 sensational beaches making it a firm favorite among a wide range of holidaymakers. 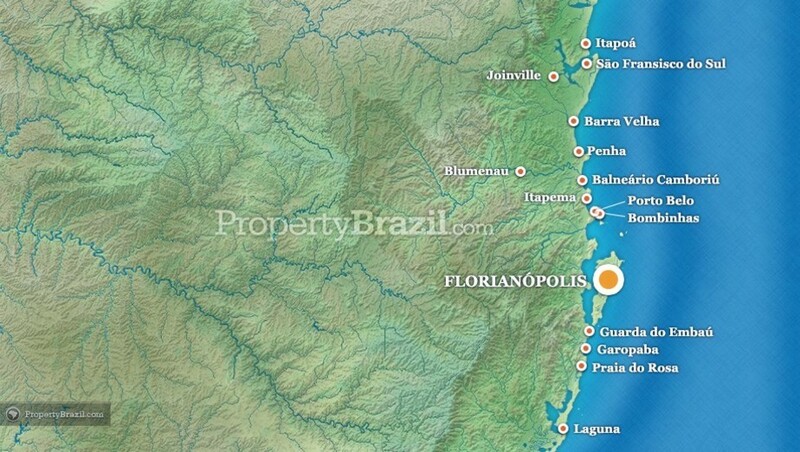 Florianópolis is often praised in Brazilian and international newspapers alike for its high quality of life, excellent beaches, cosmopolitan atmosphere and lively nightlife scene. The city is sometimes referred to as “Floripa” and due to the great waves on its east coast it is also considered a true surfing mecca. Located on the Santa Catarina Island, Florianópolis is one of the three Brazilian state capitals that enjoy an island location. Attracting large numbers of visitors from Brazil and abroad, it is a truly cosmopolitan destination that offers an incredible range of attractions and a modern tourism infrastructure. The town offers a beautiful beach promenade, good shops, bars, restaurants and a buzzing nightlife. 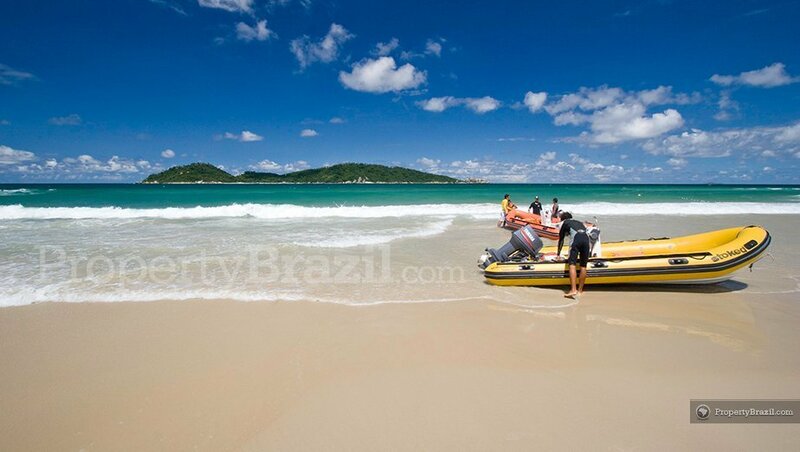 Beach lovers are spoilt for choice as virtually all of the 42 beaches can easily be reached by car within one hour making it possible to enjoy from plenty of beaches during your holidays in Florianópolis. Whether you prefer beaches suited for families, surfing, relaxing or partying, it is easy to find the perfect setting with so many options to choose from. The beaches of Ponta das Canas, Canasvieiras, Jurerê Internacional, Ingleses and Daniela on the northern coast of Florianópolis are protected from the waves from the Atlantic Ocean and are favorites among families as they offer calm waters. “Floripa” is often referred to as Brazil’s surfing capital and its east coast enjoys from big waves and appeals to even the most experienced surfers. Some of the most popular surfing beaches in Florianópolis include Joaquina, Mole, Brava, Santinho, Moçambique, Campeche and Armação. The south coast is less developed and its beautiful white-sand beaches are less crowded. Visitors can enjoy from several charming and tranquil fishing villages including Pântano do Sul, Armação, Costa de Dentro and Ribeirão da Ilha. Some of the most stunning beaches can be found on the protected and stunning island of Ilha Campeche where tourists can enjoy from calm and crystal clear waters. 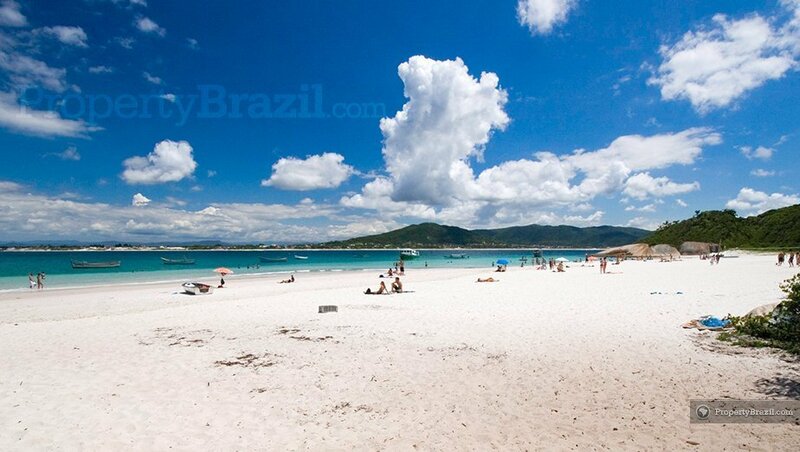 Another highlight is Lagoinha do Leste that many consider to be the most beautiful beach in Florianópolis. The nightlife in “Floripa” has an excellent reputation in Brazil. The city’s population of approx. 430 000 triples during high season and the atmosphere in the multitude of bars and trendy clubs appeals to a wide range of nightlife lovers. The beautiful Lagoa da Conceiçāo in the center of the island is a nightlife hotspot and some of the beaches such as Jurerê Internacional are also popular party venues. Due to the town’s central location on the 561 km coastline of Santa Catarina, it is common for travelers to visit some of the other highlights along the coast including Guarda do Embaú, Garopaba, Praia da Rosa, Bombinhas, Balneário Camboriú and Penha. Please read the Santa Catarina travel guide for more info. The town’s international airport Hercílio Luz is only 12 km from the city centre and receives domestic and international flights. Please visit the flight guide for more info. Make sure to also visit our community forum where you can learn more about traveling in Florianópolis. The world’s beach and samba capital. Latin America’s No. 1 Metropolis. Tropical nature and vibrant culture. Famous coastal towns and incredible beaches. Sea, sand and sun lover’s paradise. Amazing beaches in southern Brazil. Sensational beaches and turquoise water. Tropical climate and lively festivals. Great climate and magnificent beaches. The greenest place in the world. Green cities and majestic waterfalls. Exciting architecture and city planning. The largest multi-lingual Brazilian real estate portal with sales and rental listings from private owners, agents and developers. We also offer a vibrant community forum, destination guides, expert articles and business directory. 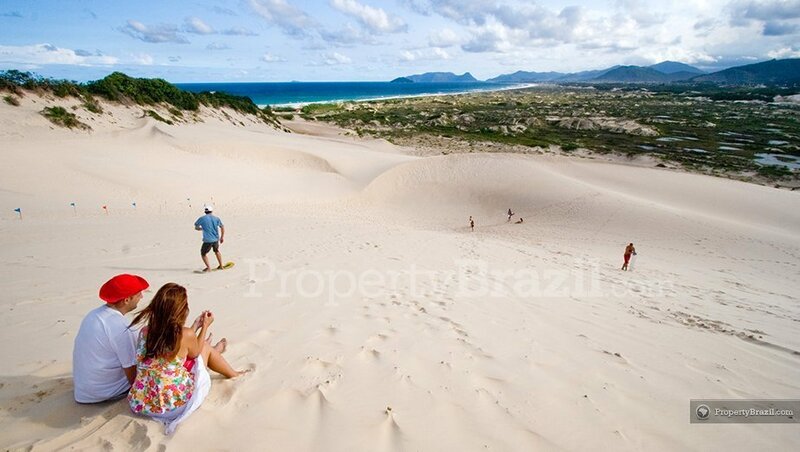 Find property for sale in Brazil from owners, developers and realtors. 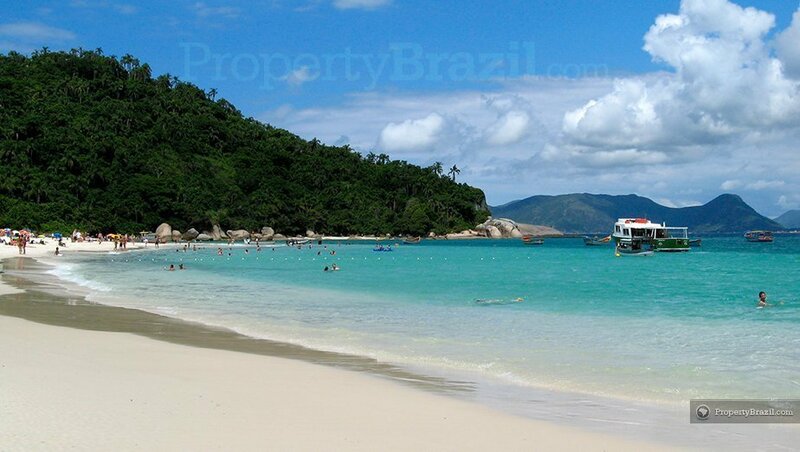 Find vacation rentals in Brazil from owners and property managers. 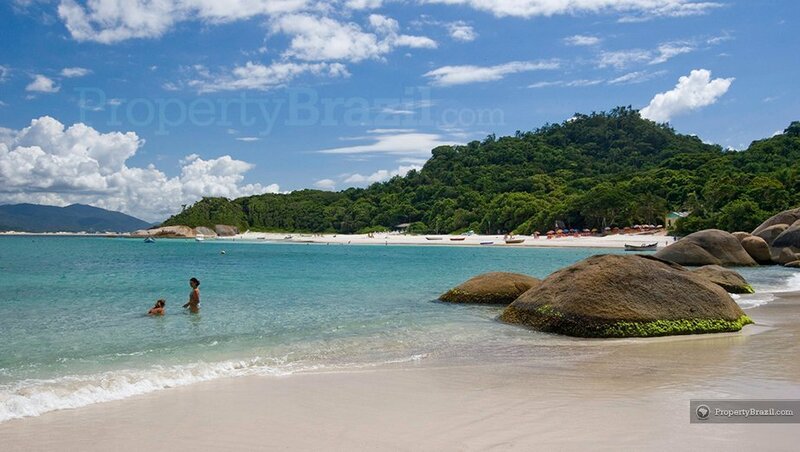 Learn more about the most popular tourist destinations in Brazil. Copyright ©2013 Property Brazil S.L. All rights reserved.